Stellar Sounds is a small company dedicated to providing affordable alternatives to the costly boutique brands that many recording enthusiasts find to be outside their financial reach. 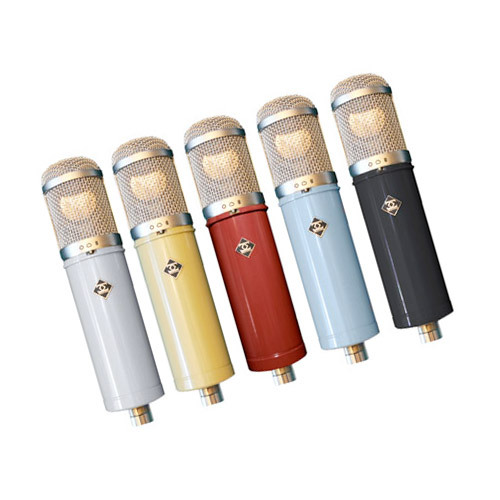 There has been a lot of buzz in the online pro-audio community about Stellar’s microphones, in particular the CM-6, which has an EF86 tube amplifier circuit designed by company founder Peter Bloch. 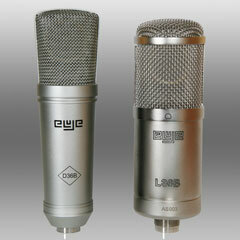 Following is a review of two multipattern tube condensers: the CM-6 and an older, discontinued model called the CM-4. The CM-4 comes in a ‘baby bottle’ form, seemingly identical to the ShuaiYin SYT-3000, CAD Trion 8000 and the Cascade Elroy. On the front it has a pattern selection switch, allowing selection of omnidirectional, cardioid or figure-of-eight patterns. On the back there are two additional switches to engage a -10db pad and a HPF. It comes in an aluminum case with a very long 7-pin cable, leather zip-up pouch and a power supply unit. The integrated yoke mount makes rotation along one axis very easy, but rotation on the other axis is impossible. I find this to be very inconvenient at times; I would much prefer a spider shockmount. The more conventional-looking CM-6 has no switches at all. There is, however, a rotary switch on the power supply unit offering nine polar patterns. This mic also comes in an aluminum case with a sturdy Neumann-style elastic shockmount, a foam windscreen, a 7-pin cable, leather mic pouch and a power supply. The mic threads into the shockmount. A minor inconvenience here is that the threading isn’t very smooth and the resulting friction has the feel and sound of nails on a chalkboard. Both mics seem very well-built and look great. They’re quite heavy; I don’t recommend trusting them to lightweight mic stands. The 7-pin cables that connect the mic to the PSU are nice and thick and wind up very easily. 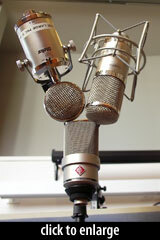 I conducted two separate shootouts with both of these mics and a studio staple; the Neumann TLM 103. The first test was on vocals; the second one was on acoustic guitar. I had booked my vocal test session in the recording studio, but it turned out that a student had booked it for the same time just a few hours before I did so I decided to roll out our portable system into the best-sounding room on campus: the vocal music room. The room’s acoustics can be altered by the opening or drawing of a curtain system along the upper walls. I asked my friend Jessica Peterman to sing some original tunes for my shootout. Jessica is a promising singer/songwriter currently working toward her music technology degree at Clackamas Community College. She sang in Mt. Hood Community College’s Genesis vocal jazz ensemble for a year. ProTools LE 8.0.4 @ 44.1kHz/24-bit. One performance was captured by all three mics simultaneously. Both the Stellar mics had their polar patterns set to cardioid, and on the CM-4 neither the pad or the HPF was engaged. Right off the bat, you can hear a substantial difference between the CM-4 and the CM-6. The CM-4’s top end initially jumps right out at you and grabs your attention, but with it comes a whole lot of sibilance. The CM-6, in contrast, is smooth as butter and keeps the sibilance in check–so much so that I wouldn’t even reach for a DeEsser for that track! 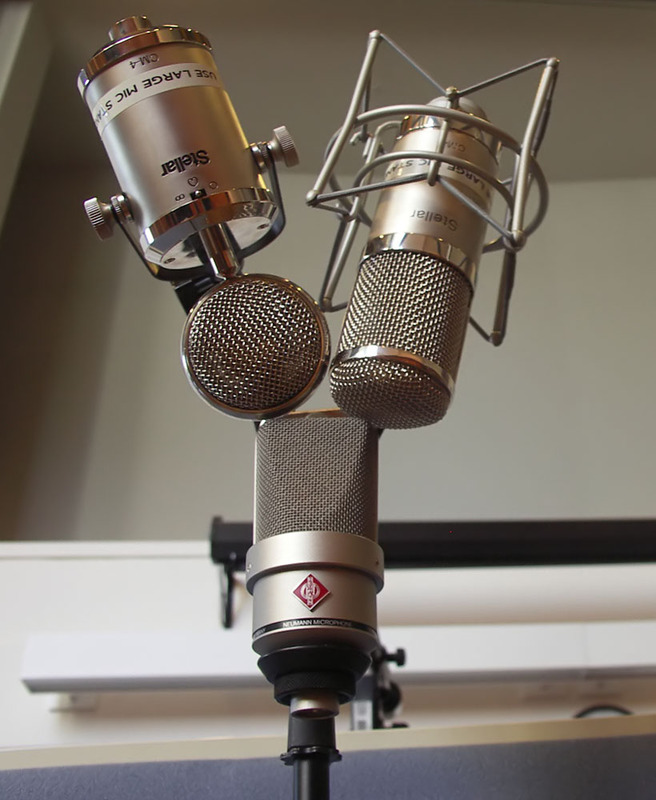 The Neumann and the CM-4 would definitely benefit from a DeEsser, additional pop filters or a different mic position. The CM-6 gives the most faithful representation of Jessica’s voice, but not in a flat or boring way. Through the CM-6, her voice sounds rich and creamy. I like the clarity of the CM-4, but the more I listen to the CM-6, the more the sibilance on the CM-4 track bugs me, and I find myself missing some bottom as well. Also, the high-end bump really brings out the breath sound, to the extent to where I’d want to do something about it, whereas on the CM-6 track I wouldn’t do a thing. 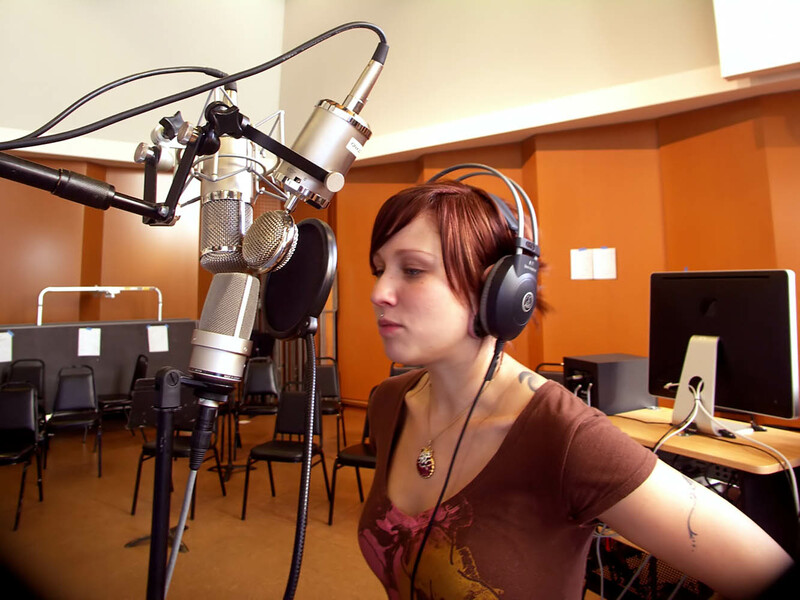 The Neumann seems to bring out some nasal frequencies in Jessica’s voice. I invited a very special guest to the college for this second shootout. Mike Doolin is a professional guitarist and he is also a Luthier. He’s a one-man custom shop that crafts some truly extraordinary instruments, including harp guitars. 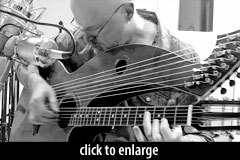 Check out his website: DoolinGuitars.com. ProTools HD 8.0.4 @ 88.2kHz/24-bit. The first thing I noticed here is that compared to the vocal shootout, the differences between the three mics are far more subtle. The CM-4’s brightness is still apparent, but not nearly as stark as in the vocal shootout. 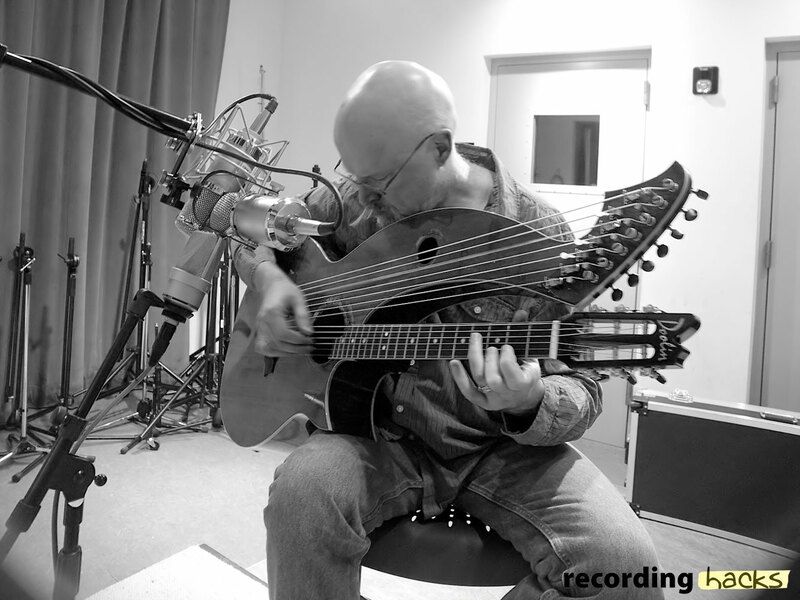 The sub-bass strings on the harp guitar put the mics’ low-end response to the test. I think both Stellar mics trump the Neumann in terms of clarity down there. On the other end of the spectrum, I think the CM-4 lets the harmonics and overtones shine. They sing with a purity that I don’t hear with the other two mics. Mike noted that the CM-6 gives the most faithful representation of his instrument’s sound, and I can hardly disagree with the man who built it with his own two hands! So in conclusion, on the harp guitar I think the CM-6 has the fullest and most balanced sound, the CM-4 shines the light on the harmonics with its high-end bump and the Neumann seems to pale in comparison to either, with its at times murky low-end response. If you focus on the melody of the tune, the TLM-103 track sounds a little veiled compared to either Stellar mic. Through this review I gained a renewed appreciation for the Stellar CM-6. It seems like a very versatile mic that accurately captures a source, but flatters it with a smooth velvet-like quality that I have not heard from any other mic. I was told it was largely inspired by and modeled after the Neumann U67, and I think Stellar definitely hit the bulls-eye with the CM-6. The more edgy CM-4 isn’t an all-rounder for sure, but I have and will continue to use it in my sessions. I really liked it on the harp guitar. I thought both Stellar mics surpassed the fixed-cardioid, no-frills Neumann (which costs more than the other two mics combined), in both tests. If I didn’t already have the CM-6 as part of the mic locker here at CCC I’d want to order one for myself right away. You get a whole lot of mic for a very modest price. Sacha Müller is a recording engineer and drummer/percussionist based in Oregon City, OR. He runs the recording studio and assists students for the Music Technology Department at Clackamas Community College and also works there freelance and out of Supernatural Sound Studios in Redland. Disclosure: the microphones under review here are the property of the college. Neither Sacha nor RecordingHacks.com is affiliated with Stellar Sounds; we received no compensation for this review. love the sound of the new CM-4 mics, they had them in the studio last time we were recording. Can’t beat the sound…..
Wow, I’m really surprised. I’m surprised because I was considering a CM-6, but now I’m not. I clearly preferred the TLM-103 on the vocals. I am sad. 🙁 I listened to numerous clips of the CM-6 before and didn’t like it very much. Still, so many mics, so little time. The CM-4 seems to have some weird tubby resonance thing going on in the low mids on the harp guitar, though the highs sound nice. I’m not sure I’d use any of these mics on it, so it’s hard to decide which one based on this comparison. Wish I had a harp guitar to record! I haven’t heard the review clips yet, will do that tonight when I get home. I purchased a matched pair of CM-6’s (as close as you can get two tube mics to match anyway) and I believe was #’s 2 and 3 of the first batch. I’ve been pleased with the results using them in X/Y on AGtrs, EGtr Cabs and even a Bass Combo. I did not care for them as room mics for my kit, but my space and room are not the greatest and I use fairly bright cymbals. The vocal clips I’ve heard using the CM-6 are most acceptable and my experience is similar with the review in way of the “accuracy” in which it captures the sources I’ve used it on. After hearing the clips, I can’t say I hate any of these mics. The top end is a bit pronounced on the CM-4, but we’ve all heard much harsher mics in that realm. I’ll eventually get a TLM103, despite some people’s opinion that they’re terrible. Thanks for the honest review and write-up here. If anyone is interested, pic the link to hear my amateur recording/mix of Daughtry’s September using a pair of Stelllar CM-6’s for everything but my drum kit. I have a matched set of 60’s era Amperex BB EF86’s in them presently, but they sound good with the stock TungSol’s as well. Ah, I see how it works now. Judging from the pics the 103, in both recordings, was given the least desirable position for making a fair judgement and yet I still prefer it. I too was hoping for more out of the stellar mics and question the opinion of the reviewer. Sorry but I smell a hidden agenda. Thanks for checking out this review. There is no hidden agenda. I use the 103 and many other Neumann mics as well as the CM6 and all the time in the studio. Please see the disclaimer at the bottom of the review. As for the 103 having the ‘least desirable’ position, that’s completely subjective. 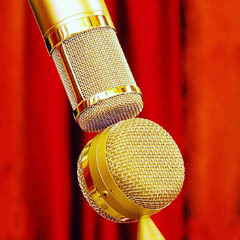 The ‘desirability’ of a mic position is dependent on a number of factors which can vary greatly from source to source. In the end, I chose to capture the same performance with all 3 mics rather than capturing 3 different performances with each mic in the same position, because I think the former gives (relatively speaking) more consistent results. There’s no real scientific way to go about doing it, so don’t read too much into it. I actually set those mics up that way purely out of convenience, because the two tube mics with their respective mounts were easier to position side-by-side using a stereo bar (one less mic stand to set up) than one of them with the 103 and it’s much smaller and shorter ring mount. Thanks for posting this. It’s very helpful. I thought the CM-6 did sound a little better on the vocal, but I preferred the 103 on the guitar. I felt the CM-6 was very “focused” on the lower mids, which really made the guitar stand out, but it almost felt a little “compressed” and less natural than 103. It felt like the 103 was capturing some lower overtones or something that would probably be brought out with some compression and provide a more nuanced timbre. I did not like the hyped top end on the CM-4 at all in either test. The top end on the CM-6 is nicely done. Thanks again for posting! I own a commercial studio and a home studio: I use both the CM6 and the C12-ish CM5 quite often, even alongside much more expensive tube microphones in my mic locker. I have a pair of each. I value them as much as these other tube mics: my Neumann M149, my pair of Mojave MA300’s, and pair of Lewitt LCT840’s. I feel much safer hauling these $500 mics back and forth between the commercial and home studio than I do with the more expensive mics in the studio’s locker. I know this article has been around for a while, and I’m resurrecting it. Also, that the comment I responded to is 10 months old, but I’ll say this for sure: Stellar Mics doesn’t appear to be expanding at any discernable rate, and their availability is spotty, sometimes in stock, sometimes not. If you’re on the fence about grabbing one, a pair, or two pairs of these mic’s like me, I encourage you to go for it, There’s no guarantee that Peter will keep these great mics on the market for any certain amount of time in the future. Grab ’em while you can. That’s my honest advice. In my early days as an engineer I searched far and wide for great deals in the recording equipment world, and the Stellar CM5’s and CM6’s I own are amongst the very best bang for buck I’ve found in all of my endeavors. Best of luck to you all.